To protect the sanctity of life. 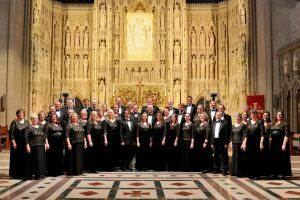 To become instruments in the Hands of God in preserving the lives of those most at risk by giving our time and talent whenever and wherever they are needed in our community. Mother’s Day Weekend, May 10 and 11, 2014. Wyandotte Pregnancy Clinic, founded by Archbishop Naumann several years ago, has successfully saved the lives hundreds of babies while improving the lives of women and families. To continue doing this, your support is needed. As you leave church this Mother’s Day, please accept a Baby Bottle from a respect-life parishioner, pray the included prayers with your family and if possible, fill the bottle with your pocket change. Bottles will be collected on Father’s Day. This is a great way to recognize and thank our parents who gave us life. Your kindness will be saving and changing lives! Thank you! Looking for a way to stand up for life? 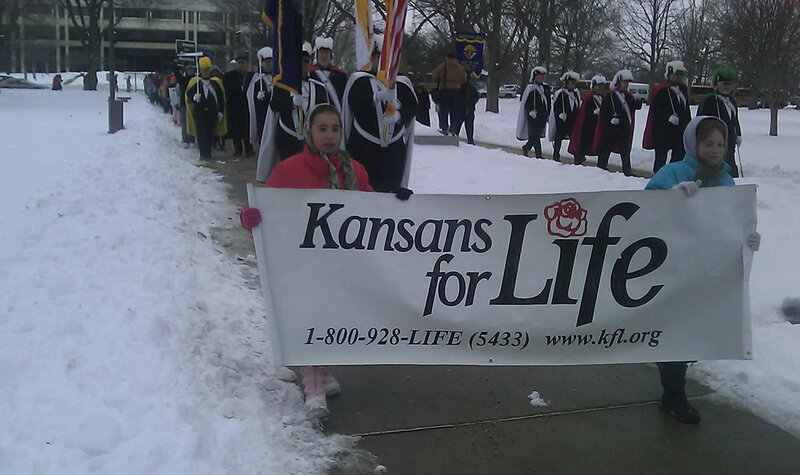 Join the St Agnes Respect Life Ministry along with 1000’s of fellow Kansans at the Kansas March for Life on Wednesday, January 22nd! We will leave in the morning and be back shortly after lunch. If you’d like more information or be part of our caravan, please contact Earl Hogan – 913-677-4580. We would love to have you join us! Thank You, St. Agnes parishioners! The Pro-Life Ministry wishes to thank all of the families that took a baby bottle following Mass on Sunday, October 6th, and those who assisted in the distribution of the bottles. Your thoughtfulness will go towards the Wyandotte Pregnancy Clinic (WPC), with the intention of making it possible for the mobile unit to go out more often. At this time, the mobile unit goes out about once per week. A heartfelt ‘thank you’ also goes out to all who visited the mobile unit after each of the Masses on October 6th, along with those who volunteered to assist in some capacity at WPC, and the contributions that were made to WPC on Sunday. An additional ‘thank you‘ goes to all who participated in the Life Chain on October 6th, and another goes to the St. Agnes 8th-graders who assisted in the placement of the crosses and signs along Mission Road. All of your contributions of time, talent and treasury were a great kickoff for Respect Life Month and a testament to the generosity of the parishioners at St. Agnes. One last ‘thank you’ goes to Fr. Porter, who has been both supportive of our efforts regarding all ‘life’ issues, and a leader by his actions in promoting the sanctity of life, from womb to natural death. encourage parishioners and passers-by to pray for the protection of the lives of the innocent and vulnerable, from conception to natural to death. WPC mobile unit visiting St. Agnes on Sunday, October 6th! Following each of the Masses on Sunday, October 6th, parishioners will have an opportunity to view the Wyandotte Pregnancy Clinic’s mobile clinic in the St. Agnes parking lot. This mobile unit provides every woman considering abortion a FREE opportunity to see her pre-born child in a convenient and comfortable setting, with the assistance of experienced counselors and sonographers, pregnancy tests, and other services. With this mobile unit, they assist women wherever they might be, within their neighborhoods, on college campuses, even outside abortion clinics, saving pre-born babies where they are most vulnerable. The Pro-Life Ministry will be hosting a Baby Bottle Boomerang fundraising campaign from Saturday, October 5th to Sunday, October 27th. Baby Bottles will be distributed at all Masses on Saturday, October 5th and Sunday, October 6th, and it is requested that the bottles be returned on Saturday, October 26th and Sunday, October 27th. The BBB campaign is a fundraising event for the benefit of the Wyandotte Pregnancy Clinic. The Annual Life Chain will be held on Sunday, October 6th! The annual Life Chain will be held on Sunday, October 6th. 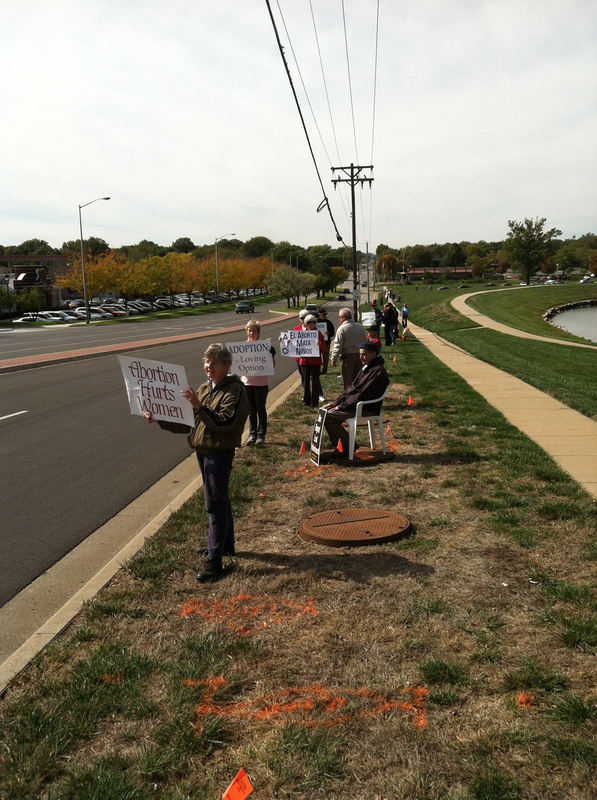 The location for St. Agnes participants is the Northwest corner of 95th & Metcalf. The event will begin at 1:30pm and will conclude at 2:30pm. Signs will be handed out, beginning at 1:00pm and will be collected at the conclusion of the event. All are invited. Please email A. J. Cameron with any questions to: aj.cameron1@gmail.com. Sponsors and conducts intensive education and promotion programs that touch all groups within our parish, including our grade school and religious education efforts. This might include arranging for interesting Pro-Life speakers and inviting all parishioners to attend. Arranging and coordinating with faculty members for a Spiritual Adoption Program for 8th Grade students at St. Agnes Grade School. Participating in the National Right to Life Conference and advertising in their program guide. Arranging for Jane Brennan, author of Motherhood Interrupted, to speak on the Evils of Abortion and the Need for Post-Abortive Healing at Holy Trinity Parish, St James Academy and St. Thomas Aquinas High School. Participating in the planning of the 2nd Annual Gospel of Life Convention and creating the brochures and posters used to publicize the event. Promotes, sponsors and/or supports existing pregnancy counseling units and other alternatives to abortion. This might include enlisting and arranging for parish volunteers to assist at alternative centers such as Wyandotte Pregnancy Center and Advice and Aid Pregnancy Center. Through ongoing public information programs, generates public awareness of the continuing effort to establish legal protection for unborn children and those threatened by euthanasia. This might include supplying parishioners with the addresses, e-mails, and telephone numbers of their federal, state, and county representatives. Implementing the Red Envelope Campaign to inform President Obama of the number of lives that have been destroyed by abortion since enactment of Roe v. Wade. Sponsors programs of prayer in the parish to pray for mothers and their unborn children and writes petitions and church bulletin announcements for Saturday and Sunday Masses. FORMED: the best Catholic content all in one place! Copyright © 2019 St. Agnes Catholic Parish. All Rights Reserved.